In early September 2017, the Trump administration rescinded the Obama-era Deferred Action for Childhood Arrivals program with a six-month delay, affecting approximately 800,000 undocumented immigrants. Of those 800,000 immigrants, about 8,300 live and work legally in Tennessee with DACA status, according to U.S. Citizenship and Immigration Services. There are potentially 100 people classified as temporary U.S. residents currently enrolled at Middle Tennessee State University, possibly pursuing a degree with DACA status, according to MTSU President Sidney A. McPhee and MTSU student enrollment data from 2016 and 2017. In the wake of DACA’s rescission, MTSU student Elman Gonzalez faces the same uncertainty that thousands are experiencing nationwide. When Gonzalez speaks on his immigration status, there is no presence of fear in his attitude. With his graphic t-shirt, shorts, tennis shoes and stuffed backpack, it is difficult to see anything other than an average college student, though his story is far from average. Born in Honduras and emigrating to the United States when he was 3 years old, the nature of his immigration is similar to most immigrants with DACA status who have lived a majority of their lives on American soil. Gonzalez grew up in Sevierville, Tennessee, a city of nearly 17,000 residents in 2016, according to the U.S. Census Bureau, nestled on the outskirts of the Great Smoky Mountains. He did not speak English when he started kindergarten and needed to learn a new language and customs in order to assimilate into the American school system. By the time he reached second grade, Gonzalez had mastered English and credits programs in the school system for his success. Though he found his early years of school to be an enjoyable experience, Gonzalez was often the only person of color in his classes, which reflects the demographics of the area he grew up in. In 2016, the white population in Sevier County made up about 96 percent of the residents, according to statistics from the U.S. Census Bureau. When Gonzalez moved on to middle school, he began exploring career paths through vocational programs. Among the career choices, the medical field intrigued him the most and, from that point, he sought out a medical profession. When he expressed this interest to a guidance counselor, he was told to pick a different career with less education. Gonzalez was already a talented student that sped through assignments, performed well on placement exams and worked his way into accelerated courses. Despite the discouragement from his counselor, Gonzalez, with help from his teachers, prepared to take honors courses his freshman year of high school. Entering high school, Gonzalez gained more of an interest in his immigration status and focused on figuring out what needed to be done for him to apply to college. Around President Barack Obama’s re-election, Gonzalez discovered a new interest for politics, and when new information about DACA or the Development, Relief and Education for Alien Minors Act would be released, he would be glued to the television. High school was when it occurred to Gonzalez that he was not like everyone else because everyone was getting their driving permits, and he knew he wouldn’t be able to due to his immigration status. Gonzalez was soon seeing everyone around him getting licenses, jobs and bank accounts. He could not explain to people why he was not able to do these things without revealing that he was undocumented. On June 15, 2012, Secretary of Homeland Security Janet Napolitano announced that DACA would be effective immediately. The program was created to protect eligible undocumented immigrants brought into the U.S. as children. It provided them relief from deportation and the ability to live and work legally with limited benefits. To maintain this status, DACA recipients must undergo a renewal process every two years. People benefiting from DACA are known as DREAMers, named after the DREAM Act, a bipartisan piece of legislation introduced in 2001 that stalled in Congress, which, unlike DACA, was intended to create a path to citizenship. 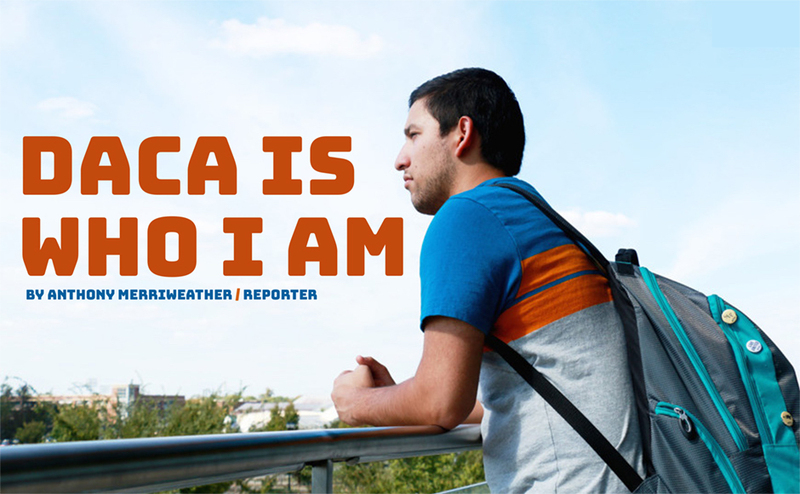 Gonzalez’s life was filled with new purpose upon receiving DACA. He got his driving permit and made the decision to get a job to save money for his first car and to take dual-enrollment courses at Walter State Community College. According to 2017 survey results provided by the Center for American Progress, 65 percent of respondents confirmed that they had purchased their first car after receiving DACA. With DACA recipients making major purchases such as this, ending DACA could have a vital impact on U.S. revenue. According to statistics provided by the Center for American Progress, the U.S. could face a GDP loss of $460.3 billion after the rescission of DACA. 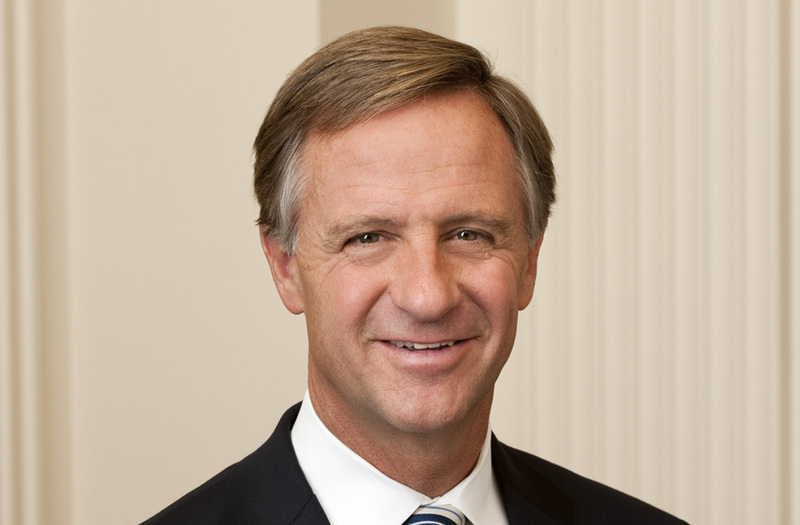 Tennessee could have a GDP loss of $347.3 million. When taking dual-enrollment courses his senior year, Gonzalez was fortunate to have been charged in-state tuition for the classes he was taking. This was a special circumstance because undocumented students do not qualify for things such as federal student loans, work study or financial assistance. If students are not able to prove legal residency in a state, they will have to pay out-of-state or international tuition rates, according to the American Immigration Council. Gonzalez graduated high school with a 4.0 grade point average and with roughly 30 credit hours accumulated from dual-enrollment courses. His work ethic provided him the opportunity to speak at his high school graduation as a valedictorian. Gonzalez’s dream was becoming reality when he applied for college and received several scholarships to help pay for his education. East Tennessee State University was his first and only college of choice, and for him, it was everything he imagined and worked for. Everything was falling in place for Gonzalez, and during the summer after his graduation, he attended orientation at ETSU and loved everything that was destined to come. But when Gonzalez received a $13,000 bill for his tuition at ETSU, reality set in and his dreams felt shattered. He made the decision to start his first semester as a part-time student, taking only one class as to not have his work amount to nothing. Gonzalez could not continue to go to school and needed to drop out, but his parents persuaded him take a broader look the situation and how it affects the people that are looking up to him and going through the same experience. Gonzalez did not want to deter anyone in the same position from pursuing higher education and worked as much as he could to pay for the one class he was taking. After finishing his fall semester, he found a cheaper route for school in online classes, which allowed him to receive in-state tuition. Gonzalez scoured to find ways to stay at ETSU each semester, whether it be through scholarships, paid internship opportunities or working multiple jobs. However, to finish his general education requirements, he finished his few remaining courses at Walter State Community College. Afterwards, Gonzalez took an official break from school, not knowing which step to take next. At his wit’s end, he was presented an offer that seemed too good to be true. In June 2017, he received an email from the Office of International Affairs at MTSU, explaining that the university was making efforts to assist DACA recipients with scholarship money to lessen the burden of paying out-of-state tuition. Gonzalez disregarded the message due to his skepticism surrounding the authenticity of the email. It was not until several days later that the notion of the offer being legitimate became apparent to him. Nearing the deadline, Gonzalez submitted his application without notice to his family and friends, fearing the possibility of disappointing his community. After filling out the required forms, Gonzalez was soon approved for in-state tuition. Doubt fled his mind once he saw his bill for his first semester, and he planned a class schedule with his adviser. Following DACA’s rescission, opinions raged across the political spectrum. Actions were being taken to solidify the end of DACA, while others took measures to ensure the future of DACA recipients would not be equivocal. According to a lawsuit filed by the Regents of the University of California and University of California President Janet Napolitano against the U.S. Department of Homeland Security and Acting Secretary of DHS Elaine Duke, statements made by Sessions’ announcement of DACA’s rescission were inaccurate, and the actions taken by parties involved were not in accordance with law because they were based on the legally incorrect premise that DACA is unlawful. Karla McKanders, a clinical professor of law at Vanderbilt Law School, agrees with the claims made within the lawsuit. A question, with an answer that seems to be uncertain under these circumstances, is who has the authority to end DACA and regulate immigration. Gonzalez has been enjoying life since he arrived at MTSU, but, since DACA’s rescission, he has been worried and without a plan if Congress does not take a step in favor of his future. We are carefully watching as the federal government’s decision to phase out the Deferred Action for Childhood Arrivals (DACA) program begins to unfold. The initial announcements and news coverage have created considerable and understandable concern to both our own MTSU Dreamers as well as their friends, families, and supporters. I am writing to signal again our support for all of our students, but particularly today those who are scared and uncertain about the future because of this development. It is a fluid situation that we will continue to monitor. To our students in need of counseling or other services, please contact our MTSU Counseling Services, Intercultural and Diversity Affairs Center, or the office of the Vice President for Student Affairs. A fact sheet that better explains this decision can be found on the Department of Homeland Security’s website. Meanwhile, we encourage our elected representatives and federal officials to search for a permanent solution, and to reach a conclusion in advance of the close of the six-month deferred-enforcement window that has been announced. School officials across the nation have made statements about supporting individuals on campus and what types of support they will provide through counseling and understanding what this means, individually, for students who are DACA recipients. According to McPhee, he sees all students on MTSU’s campus equally and takes note of the accomplishments they make. Though the school is limited to the resources they can provide for students impacted by DACA, McPhee sees an opportunity for lawmakers to provide exceptional students with a bright future. Gonzalez is very thankful that the thought of him having DACA is not always weighing on his mind because MTSU provides an inclusive environment. He is currently majoring in community and public health, with a minor in Spanish. He hopes to work in the medical field, in some capacity, and dreams of going to medical school. However, he is not sure if that will be possible under the current circumstances. One point he wants to get across is that people should educate themselves on issues like this, and he does not want those with DACA status to give up on everything they have been working for. DACA illegal aliens should be deported along with the parents that brought them here. That is Federal law. We tried Amnesty for over 3 million illegal aliens in 1986 and that just encouraged 12 million more illegal aliens to cross the Mexico border illegally. Now is the time to end all this nonsense. We need ICE to start round the clock raids on every business that hires illegal aliens and all known locations of illegal aliens. Its time for American citizens to call ICE with the know names and locations of illegal aliens. We need to deport all 12 million plus illegal aliens.